The Roland LCL-15W Dual White LED Clip Light will help illuminate your music in any dark environment. 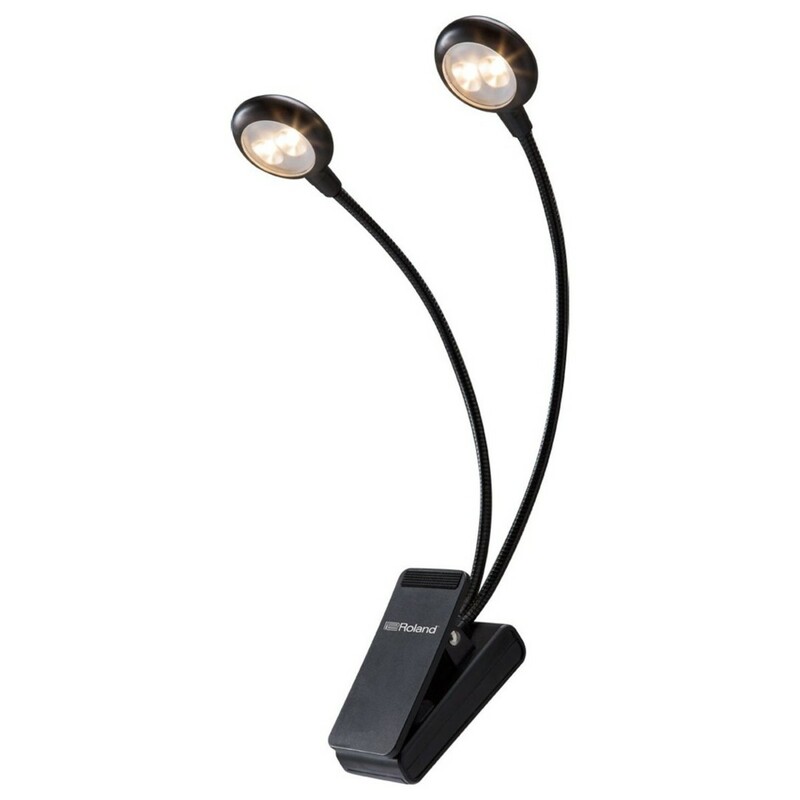 The flexible gooseneck arms allows you to adjust the position of the light with ease, so you can get the best possible light source. The LCL-15W's clip attachment can be clamped to your music stand comfortably. This light is battery-powered, so no wires or cables are needed. This product comes with 3 AAA batteries so you can use this light straight out of the box.